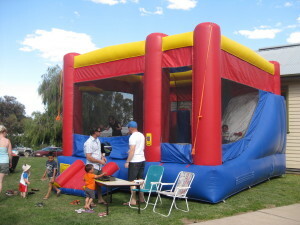 At the school fete we have a jumping castle at it is awesome!!! It’s great for all ages. It has a rock climb and a slide, it sure isn’t one of those boring old ones that only let you jump.